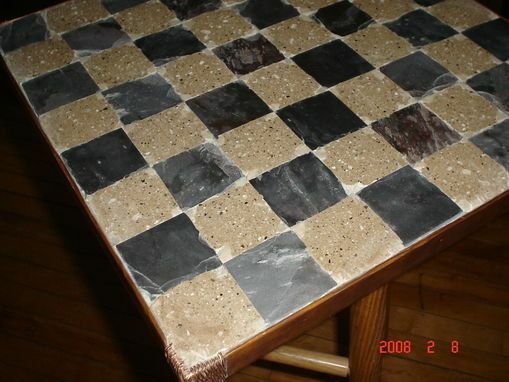 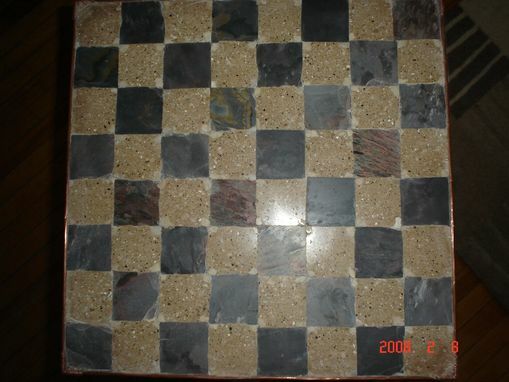 Chess board done with slate squares and concrete squares. 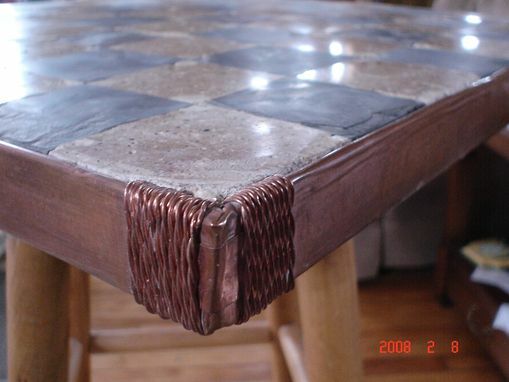 Wrapped in copper, one inch thick and 22" square. 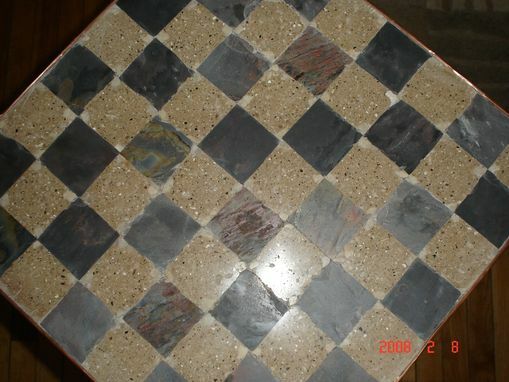 Dimensions: 22" square 1" thick additives and or materials will affect the price, as well as size and thickness.